Use SQL Server Management Studio user interface as described here. This is because you tried to restore a differential backup on an available/operational/functional/running database which is not allowed. 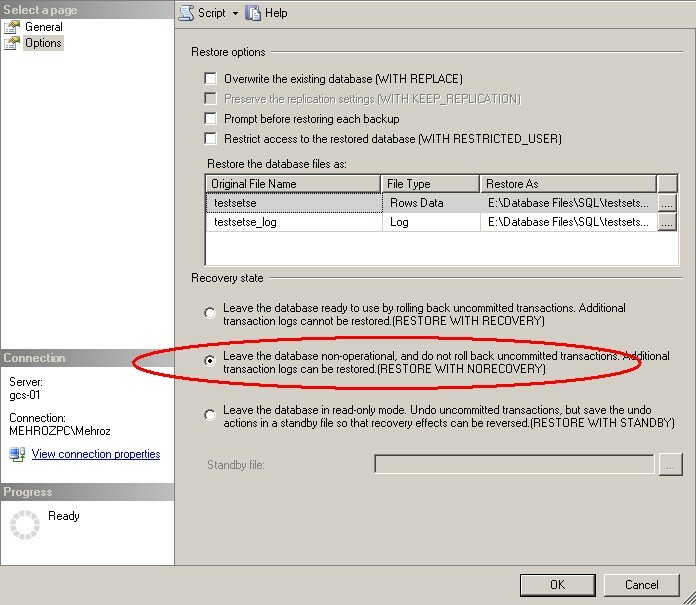 In order to restore a differential backup, you will first need to restore the last full backup with NO RECOVERY option. 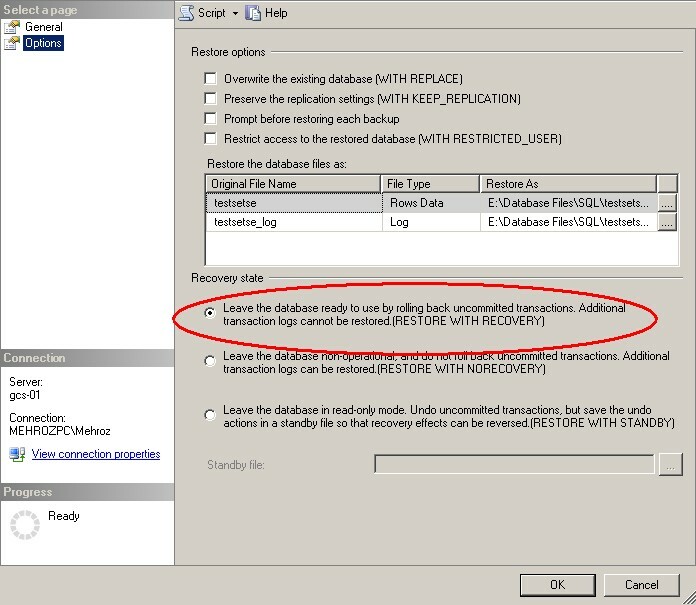 So, in SSMS you need to select the appropriate full-backup and choose Restore With NoRecovery option from the Options page as depicted in the following screenshot. 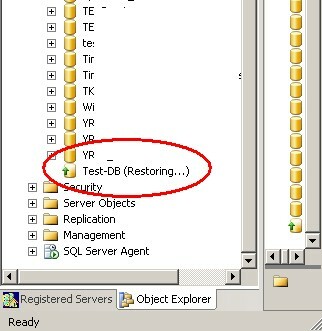 Once restored, the database will be shown in the Object Explorer as Restoring. That’s it. You have successfully restored a differential backup. 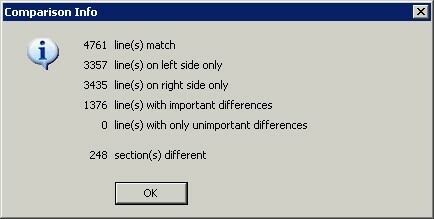 SQL Server Integration Services yields a very bitter experience when comparing two versions of a package to see the differences. The problem is that the package XML is arbitrarily reordered when we try to save a package in the Visual Studio designer. 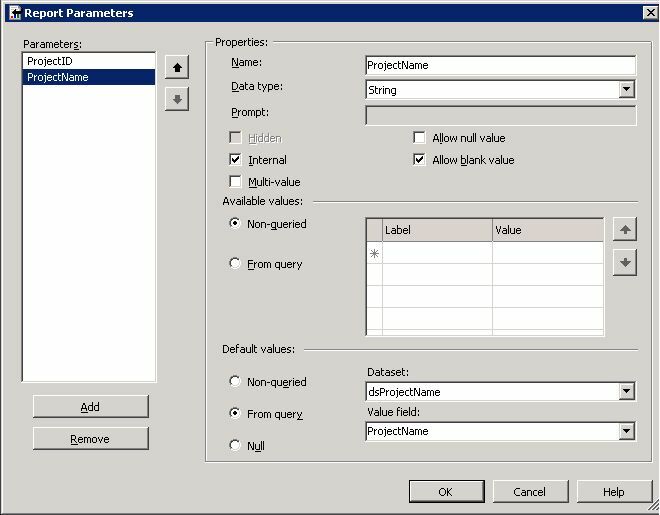 Well, luckily, there’s a free and very nice solution to this problem: BIDS helper, a Visual Studio add-on that leverages BI development using SQL Server 2005/2008. 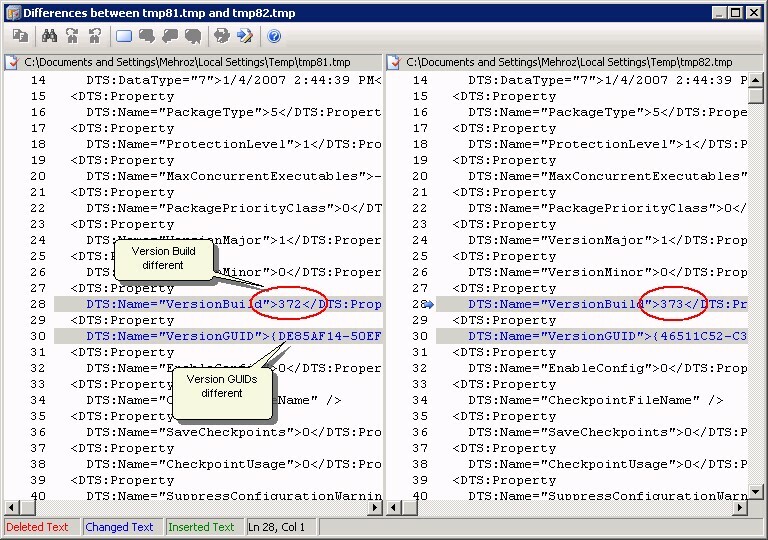 SmartDiff is a part of BIDs helper and it compares two packages after pre-processing the package definition files and producing a uniform layout for comparison. That’s really cool. BIDs helper is an add-on every BI developer must have. It contains many other features other than SmartDiff. Have a try here. Nulls can produce weird results when used with comparison operators. Few days back, I was debugging a query like the one below. Looking at the case statements, we can infer that at least one of the case statements will always output a True, but this was not the case. After much effort, I found that myColumn resulted in null due to a left join and so all the case statements evaluated to False. Getting to the cause of problem wasn’t an easy task since the query was quite complex with multiple joins and several case statements.